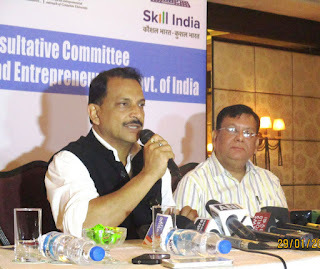 Ministry of Skill Development and Entrepreneurship in line with Prime Minister’svision to make India skill capital of the world, yesterday signed a Memorandum of Understanding (MoU) with Yashaswi Academy for Skills with an objective to exponentially expand the number of apprentices in India by committing to take necessary steps required to motivate today’s youth as well as employers to participate in the program. 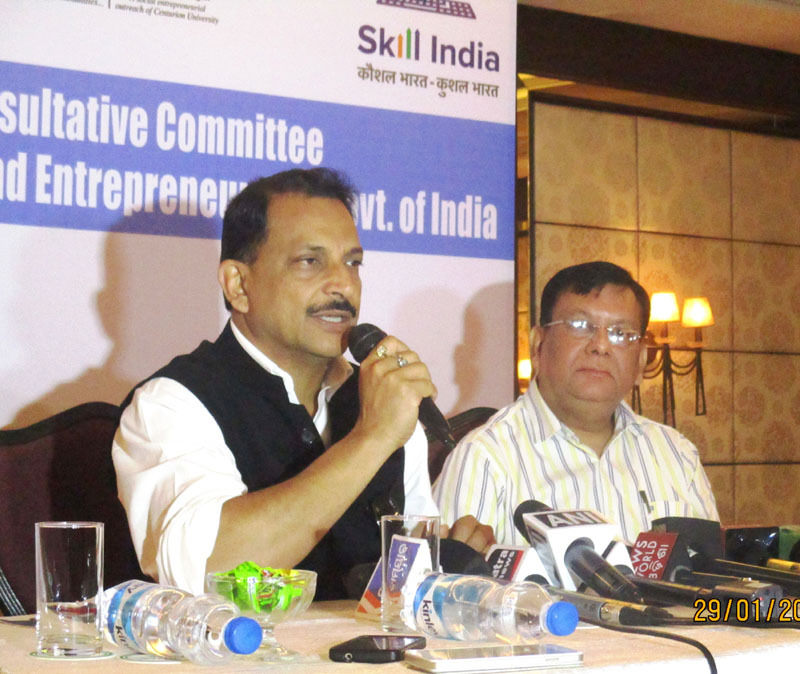 Speaking on the occasion, the Minister of Skill Development and Entrepreneurship, Shri Rajiv Pratap Rudy has said the aim is to expand the number of apprentices in India by taking necessary steps required to motivate today’s youth as well as employers to participate in the program. He said, the Government has recognized the apprenticeship program as part of its skill initiative to increase and improve training for Indian youths and help them attain better jobs. He said, India’s youth will be undoubtedly the biggest beneficiaries as it significantly improves the chances of employability and market value as well as their capability to become self-employed. Apprenticeship will now essentially going to be a ‘win-win’ for all stakeholders. If applied and implemented in a strategic manner, apprenticeship has the capability to become the most powerful ammunition to target Prime Minister’s Skill India Mission. In order to make things simpler for the industry as well as the youth, a web-based Apprenticeship Portal was recently launched to bridge the gap between students and industry where all companies would be required to publish their trade-wise requirement of apprentices. Apprentices would also be encouraged to apply online. This will enable the beginning of the online interaction among apprenticeship applicants, companies and the Government. Companies are also encouraged to publish their apprenticeship requirement on this portal instead of submitting tedious returns and will be easier for the Government to extract data directly from the web portal. Various studies have proven that given the hands-on focus during apprenticeship, the industry directly benefits from enhanced skill workforce. The return on investment is very short and which helps industry build a safe, professional and fully qualified workforce. Government also see major benefits as compared to a large number of skilling schemes which they have in the country, the effectiveness of apprenticeship system is very high.